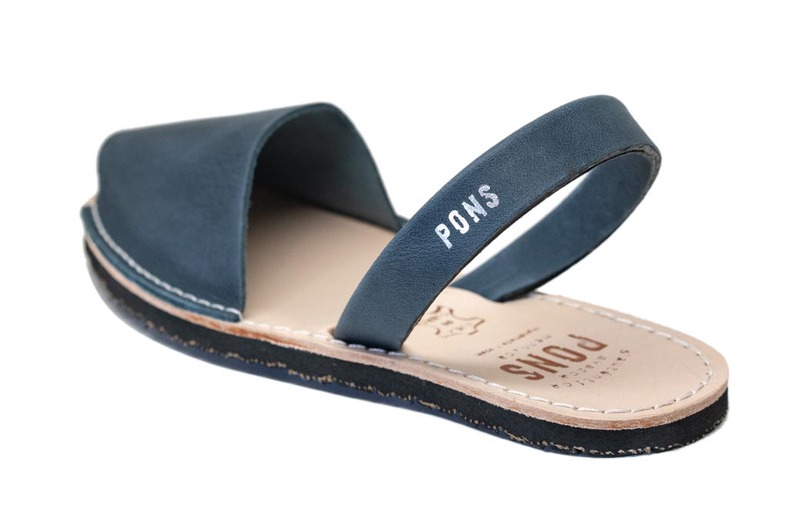 Our women's Eco Classic Pons Avarcas in French Blue feature a colorful but neutral navy blue leather, perfect for pairing with light or white denim, neutral skirts and dresses, or even brighter colors like yellow. 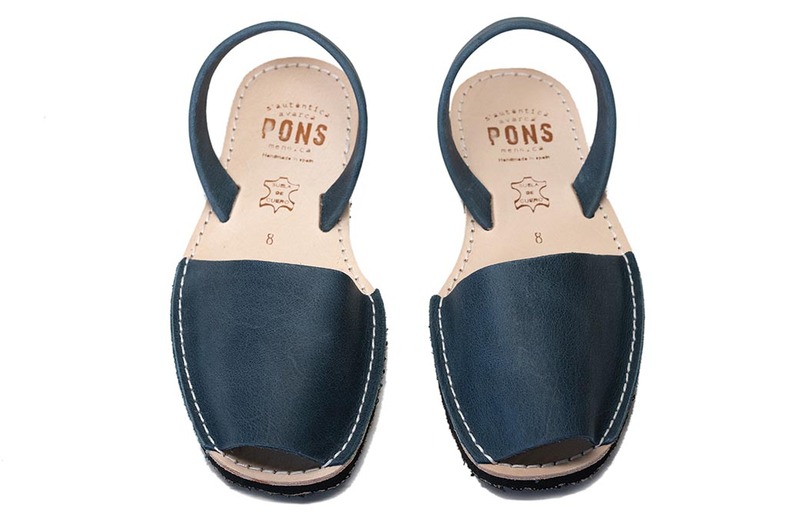 These eco-friendly Pons are handmade in Menorca, Spain and feature a lightweight rubber sole crafted from recycled rubber. The French Blue upper and the natural insole are both made from high quality all-natural full grain leather.